The fact that it’s the end of April already really scares me. That means that there is only four short months left until my baby girl arrives! I know, I pretty much reference everything at the moment to the time left in my pregnancy and I’m so sorry for that, but who can blame me when I’m this excited?! Throughout April, I’ve started playing around with my makeup and skincare a lot more; towards the first half of my pregnancy I got really lazy and was really not bothered with my makeup or skincare anywhere near as much as I normally am and so I didn’t really find too many new bits that I liked, I mostly reused old products that I knew would do the job and so for March I didn’t feel like posting a favourites post. 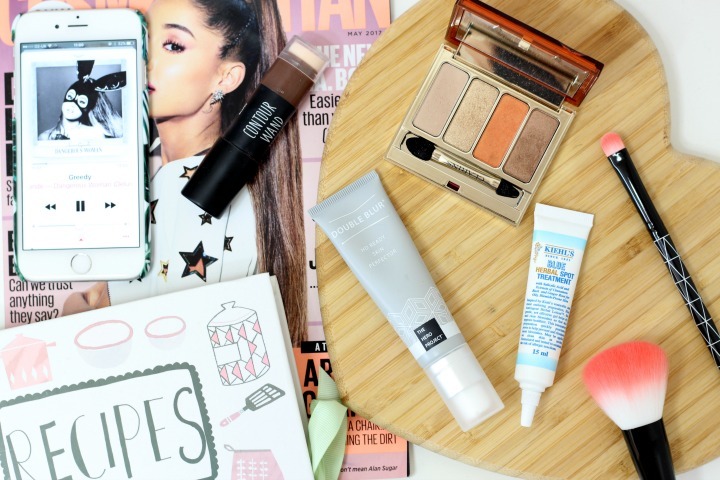 Throughout April however, I have been loving lots of products and lots of items in general and thought it was about time I popped up another favourites post for you all! My number 1 throughout April has to be my Kiehls’ Blue Herbal Spot Treatment. Now I’ve mentioned this before in a BekyLou review, however as I’ve been using this religiously this month I thought it was about time it made it into one of my favourites. Having my body currently be a raging mess of lovely hormones my face has broken out ridiculously and with so many under the skin spots this little gel of dreams has been an absolute saviour. With a little bit of this applied to my spots before bed, by morning they are usually dried out and at least 70% smaller than they were the day before. Some spots even clear up completely with this beauty, whilst the bigger stubborn ones usually take a couple of days and applications but without a doubt I’d recommend this to absolutely everyone. I’ve been shopping my stash a lot recently what with the budget for new makeup now being held back for those all important baby bits and so I thought I’d share a few bits with you that I’ve got a re-found love for this month. I have got a full blog post planned for this in the next month but some have just really stolen my heart so I just had to include them in this months favourites. 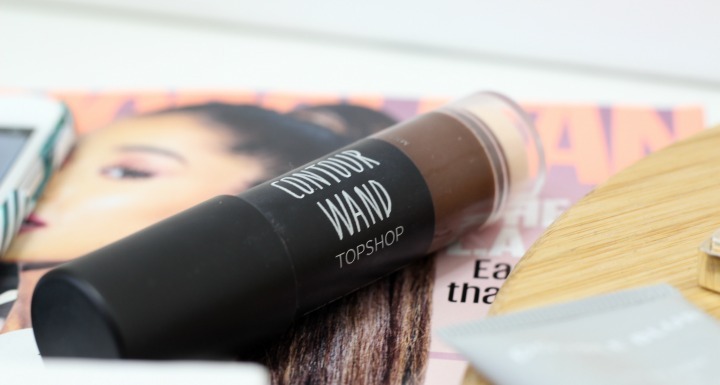 My Topshop Contour Wand is my most beloved from the pile and is one that again, I’ve spoken about quite a lot on the blog. I just find that it’s such an easy way (especially for a girl who really struggles with a good contour) to contour my face. The applicator makes my life so easy and with a swipe of this just under my cheekbones and along my temples, it’s easily blendable for a natural looking contour. For £12 and from such an easily accessible store, this has been my go-to contour for the majority of April and is an absolute bargain compared to others alike out there on the beauty market. 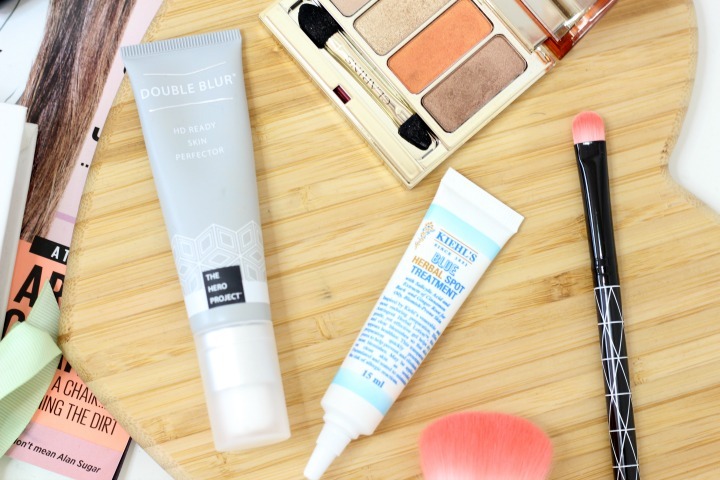 A new product to my collection this month and one that I have been using every single time I apply my makeup has been The Hero Project Double Blur HD Ready Skin Perfector, a primer that I think, has really made a difference to my daily makeup routine. Thanks to the natural glycerin within it, this primer gives the appearance of a smooth base and blurs out imperfections on the skin, which I can definitely vouch for. Since having so many breakouts over the past couple of months I’ve been left with a couple of patches of slight scarring from the spots I’ve had and although I know they’ll fade eventually (and are by no means anything I’m overly concerned about) this skin perfector from The Hero Project has been helping to just even out my skin tone and give me the flawless base I’ve wanted. I’ve noticed such a lovely difference in the appearance of my skin and with how my foundation looks applied on top of or mixed in with this primer and I’ll definitely be using this for the foreseeable future. Of course, I couldn’t go through this favourites post without mentioning the new Clarins Sunkissed Summer limited edition eyeshadow quad as it’s one that most of you will know I’ve been raving about on social media all month and one that I have honestly been picking up every time I’ve bothered with eye makeup. 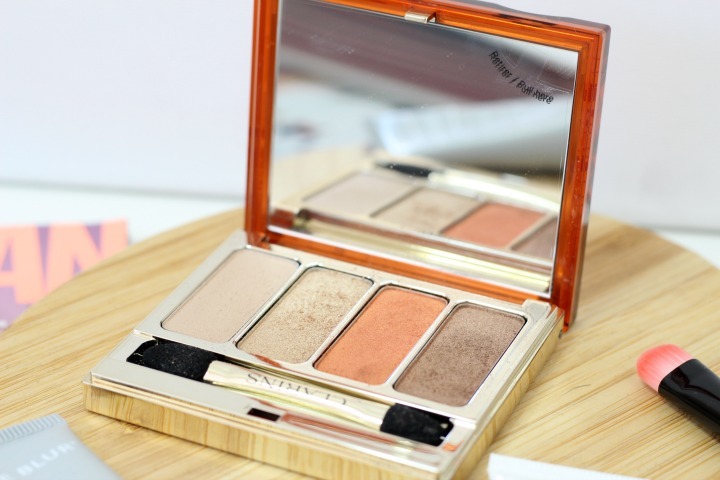 I am just so obsessed with the colours in this palette (especially the orange) and love how they look for the perfect summer makeup look. The orange, bronze and gold colours blend perfectly together to create a gorgeous summery eye that I never would have thought to create in a million years had I been given all of the colours separately and with bronze and burnt oranges set aside for the Autumn months in my mind, it’s really nice to have my colour palette almost refreshed and to have been able to play around with these colours for a more golden summery eye. It makes sense really when you think about it and I don’t know why I’ve never tried out colour combinations like this in the summer months before. You can read my full review for this quad and all of the other pieces from the Sunkissed Summer collection in my latest New In Beauty post. Something a little bit different this month and something that isn’t beauty or makeup related is that I’ve been absolutely loving Ariana Grande’s Dangerous Woman album. I’ve loved this since November / December when it first got released however now that we’re on the two week countdown to me seeing her in Birmingham, I’ve been listening to it a lot more again and actually don’t think I can say a bad thing about it. I love every song and can’t stop listening to it, I’ve even got Steve singing along with it in the car now! It’s such a mixed album with upbeat songs and songs that I consider a lot calmer that I just find so nice to sit and write to or relax to. I just wish I could hit those high notes like she can, I feel sorry for anybody near me when I’m singing along to Ari! And last but not least for April’s favourites I’ve been really loving cooking again. Again, a bit of a random one for a post that’s usually full of my beauty favourites, but since I’ve been off work these past couple of weeks I’ve been finding it really therapeutic to put some time aside each day to cook a meal for my family. It can be quite difficult in our house as my mum is gluten and Dairy intolerant and with her not liking to cook and me and Steve often eating at different times to everyone else, there can usually be three or four different meals made each night to suit us all. As I’ve been home in the day, I’ve taken to cooking something that we can all eat of an evening and just setting it all out ready for when we’re all back and ready to eat. I love cooking meals from scratch and finding new recipes that suit us all, including mum ( I do substitute for gluten free and dairy free where I can for the whole meal but sometimes just make her gluten free pasta or give her gluten free wraps where I need to) . It gives me something to get up and do during the day and I really enjoy cooking for the whole family! 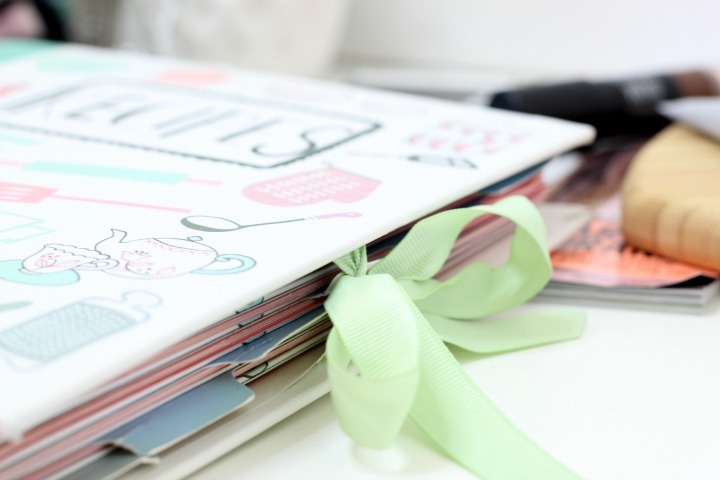 I’ve had this recipe book from Paperchase for a while now, but I absolutely love jotting down all of my recipes and ideas in here so that the meals I love to cook the most are all in one place – it makes it easier for Mum to grab hold of and cook too if she ever feels like it! What have you been loving this month? I’d love to know in the comments whether it’s beauty bits or not! Next Post Pregnancy Update Week 23: Pre-Natal Depression, Going Baby Crazy & Free Stuff!